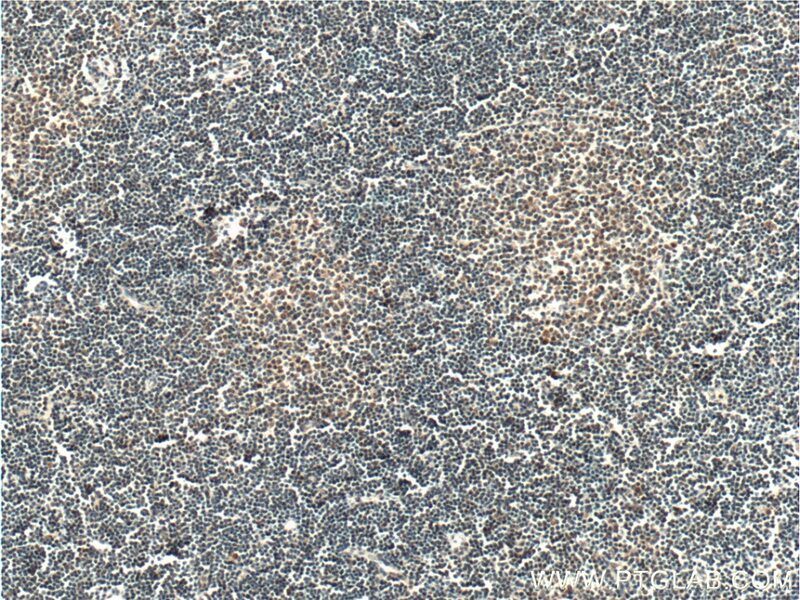 Immunohistochemical analysis of paraffin-embedded human lymphoma tissue slide using 11266-1-AP (HAX1 antibody) at dilution of 1:200 (under 10x lens) heat mediated antigen retrieved with Tris-EDTA buffer(pH9). 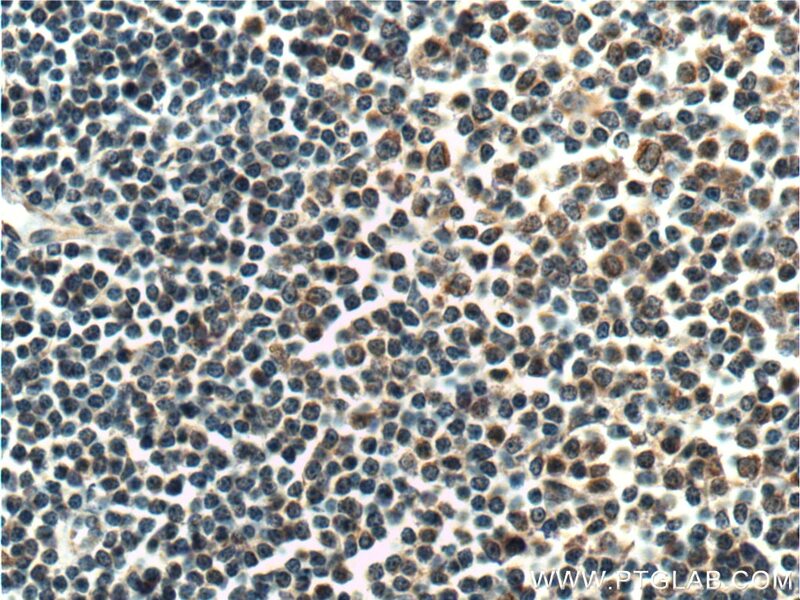 Immunohistochemical analysis of paraffin-embedded human lymphoma tissue slide using 11266-1-AP (HAX1 antibody) at dilution of 1:200 (under 40x lens) heat mediated antigen retrieved with Tris-EDTA buffer(pH9). IP Result of anti-HAX1 (IP:11266-1-AP, 3ug; Detection:11266-1-AP 1:300) with mouse brain tissue lysate 6000ug. HAX1, also named as HS1BP1, is a 32 kDa protein that is ubiquitously expressed. 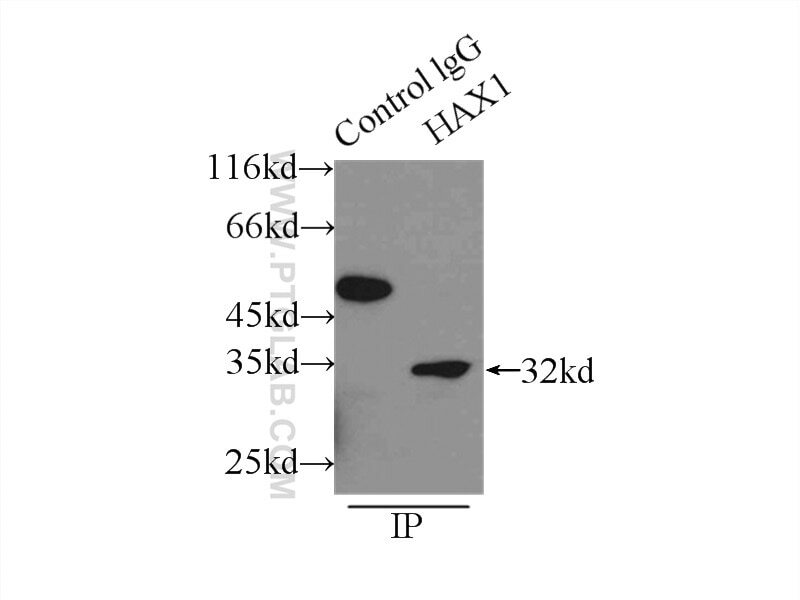 Hax1 has been demonstrated to be a negative regulator of apoptosis in many immune cell types. Furthermore, Hax1 has been shown to have additional roles in regulating cell motility and adhesion, and is overexpressed in many types of cancer. Kristina and Cavnar demonstrate in their paper validation of two research antibodies including Proteintech’s anti-Hax1 (11266-1-AP). They have evidence that the rabbit anti-Hax1 (11266-1-AP, Proteintech Group Inc.) results in a more robust and consistent detection of Hax1. Hax1 regulates neutrophil adhesion and motility through RhoA.